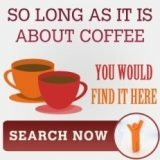 Just 5 best drip coffee makers for you to choose, no need to scroll through endless list of best coffee makers, best buy and so on. However, this is my choice, so look through the strengths that I have highlighted and see if you like the value add of the coffee makers. 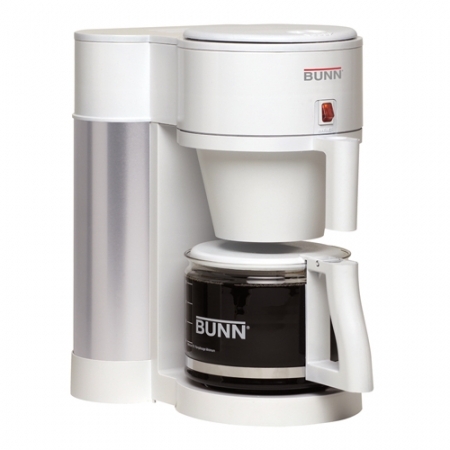 If you want to know best drip coffee makers, Bunn have to be one of them. Bunn being the first company to introduced paper coffee filter to the domestic market, its strength is still in the drip coffee makers. For Bunn, my personal best would be the Bunn NHBX. 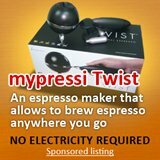 It is fast with ability to brew 10 cups under 3 minutes. It has a water reservoir that can keep water hot on standby, so that it is always ready to brew hot coffee. However, the best value add I feel for Bunn, is its 3 years warranty on this NHBX. Leaving you worry free for at least 3 years. The second in my list for best drip coffee makers would be capresso. capresso is better know for its espresso machines, however, the capresso coffee TEAM therm would add value to anyone that wants to brew fast and good coffee at home. This 10-cup Coffee TEAM therm has a burr grinder to give your coffee beans, a value add to ensure that flavor would not be lost from the coffee grounds (ground coffee loses flavor after a few days if not stored properly). Then there is the stainless steel vacuum carafe. This is a personal favorite, I feel that all coffee makers should comes with thermal storage so that the freshness of the coffee can be maintained for a longer period of time. Just a note to all that the choices that I have for my 5 best drip coffee makers are not in any particular order. You can view them as simply my 5 favorite drip coffee makers. The third coffee makers in this category is the cuisinart coffee bar. This is a drip coffee maker for folks that enjoy tuning the coffee maker to brew his/her coffee. The coffee bar uses a "flavor system" to adjust the brewing for 1-4 cups or 5-10 cups, so you do not have to worry about wastage and you are adjusting the water flow to extract the flavor of the coffee. 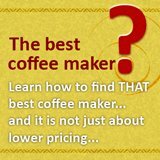 Other than this flavor system, it has what your average drip coffee makers has, with a warmer plate, a 30 seconds brew pause to get a cup of coffee during brewing, and it has a "taste keeper" lip to keep the flavor and freshness(hotness) of the coffee. Some of you might not have heard of Delonghi coffee maker unless you are into the espresso gourmet coffee which Delonghi is very strong in. However, they do have very good drip coffee makers as well. 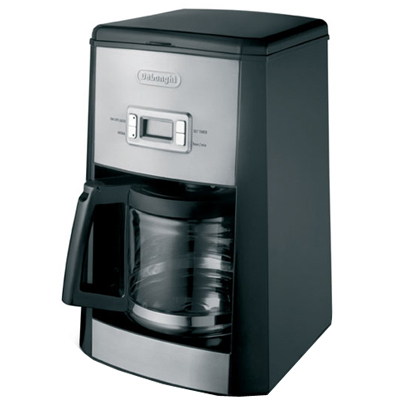 And my choice of Delonghi in my best drip coffee makers selection is the Delonghi DC 412T. Comes with the comprehensive features that good drip coffee makers should have, Delonghi DC 412T has this aroma button. This is actually a time release process that is unique only to this coffee maker. When activated, it releases and extract through its unique filtration the best bodied flavor for your coffee. Finally, the fifth in my 5 best drip coffee makers. For this, I choose Krups FME5. Krups is a company known for good quality coffee makers and espresso machines, so if you get a Krups, you can already be assure of good quality. 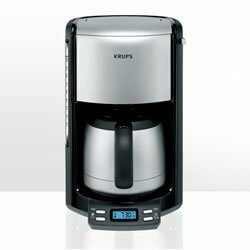 For the Krups FME5 drip coffee maker, I list it in the best 5 because of its comprehensive features. While many coffee makers comes with programmable function, Krups' programmable clock comes with more functions and deeper features. Then, to interrupt the brew cycle, simply remove the carafe, a very easy and simple process. I gues the sleek illuminated blue LED control panel is also a strong reason why I choose the Krups FME5. Disagreed with me? That is great, because ultimately you should form the idea of what is not only the best drip coffee makers, but the best coffee machine for yourself. 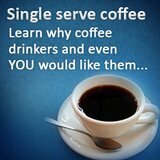 Still wanna learn more about other coffee makers?